These casseroles below are a collection of my favorite casseroles. 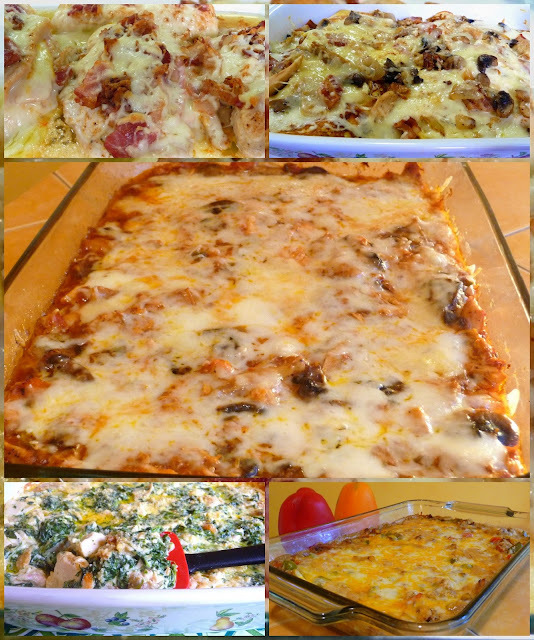 I like most of my casseroles, however, these stand out in my garden of lovely food memories. Casseroles are the ultimate comfort food. Also, a casserole will feed a number of people and since it is a one-dish meal, it usually helps make meal preparation quicker and easier for the cook. Add a salad or one side and supper is served! When I first embarked on cooking low-carb casseroles, I wondered how interesting I could make them as I always thought of casseroles as something made with starches like potato or pasta. Turns out there are a myriad of ways to make casseroles without those starches.